Occasionally a property comes to the market that legitimately earns the descriptionâtoo many features to list. This private estate offers the ultimate combination of luxury & estate qualities unique to this area.Upon entering the property youâll encounter the gate house office with its European Country design matching the main house with 2 bedrooms & 2 full baths. The main residence offers character & style, an indoor infinity pool, lower level, handicap accessible guest suite with separate garage & walk out patio, extensive trex decks & multi-room master retreat. Charming playhouse & play area. Four-stall barn with hay storage & tack/feed room for the horses or livestock with fenced pasture & round pen. 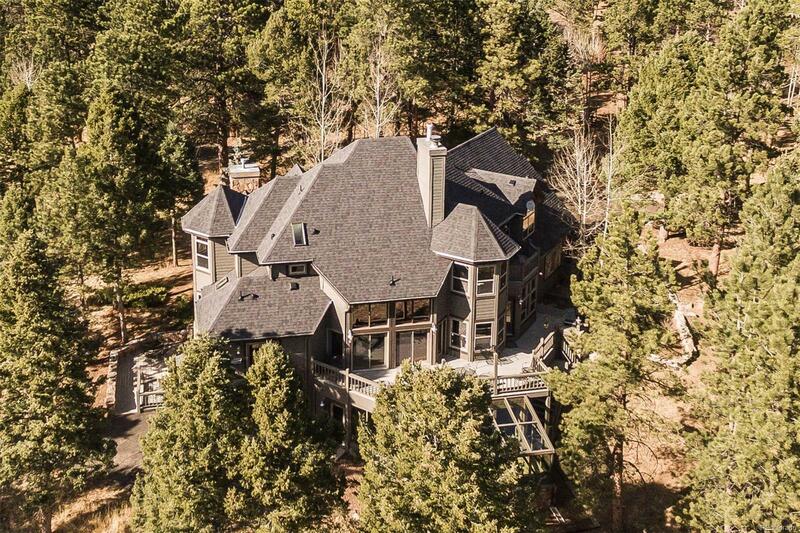 All this on 35 secluded acres of meadow, aspen groves, rock outcroppings & evergreen trees. Easily accessed on paved, county maintained roads. Nine min to Starbucks & shopping, 45 min to Denver Perf Arts Complex & one hour to Denver International Airport, but youâll feel a world away.